Adding value through great design, removing stress and confusion through experience and professional training, Swift Designs will provide the solutions to your design paralysis. 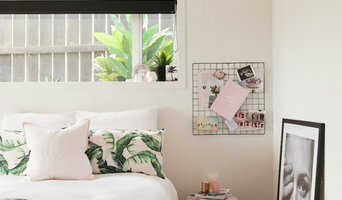 Does your space not reflect your personal style? Perhaps it's outdated and needs refurbishing? Are you renovating or building a new home or commercial space? Are you unsure how to start? Or maybe you know what you want and just can't find it... Treena Swift is the owner and senior Interior Design Consultant at Swift Designs, she is a fully qualified, award winning Interior Design professional. She creates beautiful, functional spaces for her clients, every space unique. A combination of professional training and project work experience affords Treena the skills and knowledge to work with all design aesthetics. She is uniquely positioned to be able to offer clients Interior Design Consulting services with a dynamic combination of experience, creativity and present-day professional development. You can see some of her work on her Houzz Projects page, remembering that each design is created specifically for her clients style tastes and functional needs. "I love to hear how we've made a positive impact on the way clients live in the spaces I create, most tell me it's the best money they've spent!" Established in Kerikeri and undertaking interior design projects in the North for over 6 years, from Karikari Peninsula to Whangarei, I've been fortunate to have worked with many fantastic clients, both in a residential and commercial capacity. 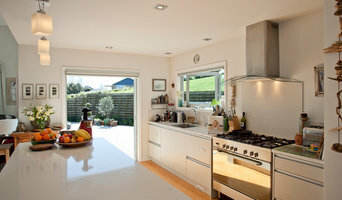 Projects are many and varied - from large projects such as the Carrington Estate project through to small projects such as a two bathroom renovation in Mangonui where the client found it difficult to realise their design vision. The Carrington Estate project leap-frogged me into design, taking the architectural plans and a comprehensive client brief and translating those into 12 unique house interiors, providing a full interior design service right through to and completing the FFE stage (Furniture, Fixtures & Equipment). My background in marketing and especially brand development and management, has proven invaluable to me as an interior designer, especially for commercial projects. I'm a stickler for attention to detail - this does not come naturally but has been learned, as has the necessity for setting up and following rigorous processes and systems that support the creative thinking. My design intention is always based on the client brief but I will provide input based on my growing knowledge and experience, aiming to achieve outcomes that go beyond client expectations. Based in Christchurch, I offer a tailored design service from furniture and fabrics to bespoke joinery, kitchens and bathrooms. My interior designs are inspired by your brief, whether contemporary or classical in style, ensuring your project is carried out efficiently and within budget. From initial concept through to installation, I am dedicated to inspiring your imagination and creativity for beautiful results. I focus on attention to detail at every level, from choosing a beautiful stone to an unusual textured fabric. I can provide you with a fresh and modern approach to style, reinterpret and improve your interior spaces. Luxury is not about money, but about designing a home that is desirable, comfortable and enjoyable for the people who live in it. Nicola Manning Design is an experienced interior design practice offering all a full range of interior design services, from new builds, renovations, apartments, commercial building and sourcing beautiful interior products. Kitchen, Bathroom, Laundry and cabinetry design. Nicola, Director and Lead Designer, is a qualified interior designer with professional membership of the Designers Institute of New Zealand (DINZ) and membership of the National Kitchen and Bathroom Association (NKBA NZ). Nicola Manning Design was established in 2002. I believe your home is not just a financial asset, it should also be your haven. Whether you're building, renovating, downsizing or moving into a different size or style of property, I'll help you create beautiful and functional spaces that feel like home. I take a "no surprises" approach to our project partnership, with clear communication and efficient implementation processes, to help your project finish on time and on budget. I'd love to talk to you about your project, call or email me to discuss your project. AWARD WINNING INTERIOR DESIGNER: INTERIOR OF THE YEAR FINALIST 2019; BEST OF HOUZZ Clients can engage Alexandra for all scopes of work from colour palettes through to full project management, procurement of furniture, to procurement of contractors. With a strong and proven network of manufacturers, retailers, and service providers built on many years of trust, Alexandra Blair Interior Design will cost effectively complement the scope of any project. Welcome to Pocketspace Interiors. We are Auckland-based interior designers who specialise in innovative and strategically creative interior design solutions for the challenges of small spaces in both residential homes and commercial workplaces. We combine our expert understanding of construction and materiality together with our knowledge of the latest innovations in storage and functionality to create custom solutions to your design problems. We will listen to your needs and work with efficiency to create you vibrant spaces that will inspire your everyday life. No spaces too small - or too big - for us. Award winning and Innovative interior design for both residential and commercial projects. See photos for examples of our work. 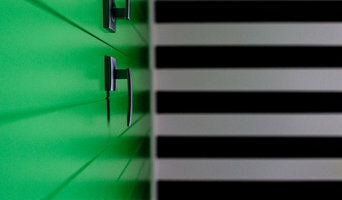 We are a well established team of qualified Interior Designers. Our passion is in producing stunning contemporary interiors with a co-ordinated flow throughout. We tailor our designs to suit any taste and budget. Our client’s satisfaction is imperative to ours. We excel in the designing of Kitchens and Bathrooms, spaces where style and function are of equal importance. Having a team of professionals by your side throughout the design and build process ensures you get it right the first time. Our aim is to remove the stress through this process. We use our extensive and up to date knowledge of Interior Design when designing your spaces, selecting colours and surface finishes, specifying the right textiles and choosing furniture to compliment your spaces. Get in contact with us today to find out what we can achieve for you! 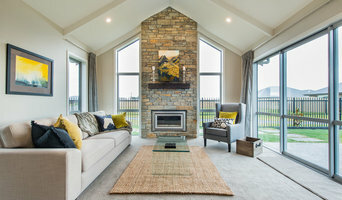 Designworx New Zealand is a boutique interior design studio working across Auckland, Tauranga and NZ wide with over 18 years experience in both residential + commercial design. Interior designer, Amanda Neill, works with you on all aspects of your project from kitchen designs to soft furnishings, from new builds to renovations - providing a fully integrated end-to-end process. Designworx uses colour, the psychology of colour, and quirky eclectic design to bring life into homes, which transforms your space into a place you'll love. On occasion, interior designers will need to subcontract help from other professionals to help create the perfect look for your home renovation. These may be specialist installers or interior decorators like kitchen designers, architects or landscape contractors. Start by asking yourself what you want your space to become and how it will be used. List your must-haves and decide on your budget. Interior design services can add up fast, so be upfront with potential interior designers from the beginning. Also, pick a designer that fits your style. Browse through their interior design portfolio on Houzz and ask yourself if you’d live in any of those houses. If the rooms inspire you, take note of what elements you appreciate. Find residential interior designers on Houzz. Scroll through this page to find interior designers in your area. Then, browse their design portfolios to see how their work compares to the scope of your project. You can read reviews to see how other homeowners rate their work, and message them directly to to ask any specific questions.